Apple’s latest iOS update – version 4.0 – introduced some big new features like multitasking, folders, iBooks, and more. While those are all great improvements, the little things are often just as useful in everyday use. Many iPhone and iPod touch users are still discovering new things about iOS 4 and how it improves their devices. It’s a big upgrade, for sure. As I’ve said many times before, though, a collection of minor tweaks can be equally exciting as the headliners when it comes to Apple software updates. These are the omissions that may have always bugged you before and could have been corrected if only Apple would cooperate! Of course, you’re especially thrilled when they finally deliver. So rather than talk about the big stuff everyone already knows about, let’s focus on these lesser known features of iOS 4 instead. When you’re laying down on your side looking at something on your iPhone or iPod touch, the screen typically changes orientation to landscape mode. Fiddling around at different angles to appease the accelerometer gets annoying pretty quickly, right? That’s no longer a problem in iOS 4 because there’s a screen orientation lock that can hold it in portrait mode until you unlock it. Just double-tap the Home button to invoke the multitasking menu, then swipe right. 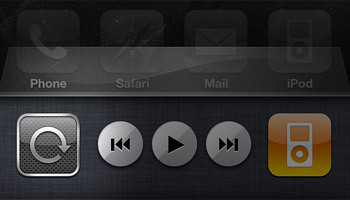 The screen orientation lock button will appear there, along with convenient audio controls. 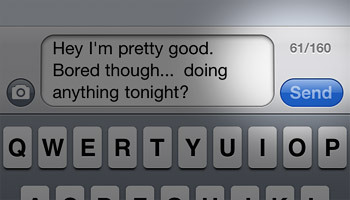 This one really bugged me ever since I got my first iPhone. Text messages have a limit of 160 characters before they get split into multiple messages. But us iPhone users had no way of knowing when we were approaching that limit without counting characters ourselves. And, let’s be honest, that certainly wasn’t happening. 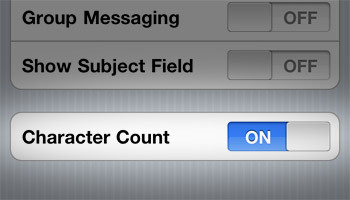 Apple finally included an SMS character count in iOS 4, but it’s not turned on by default. It can be enabled by going to Settings > Messages and flipping “Character Count” on. Note that the count will only display once you’ve entered enough text in the SMS field to start a second line, though. With so much of our personal, private information on these devices now, security is a growing concern. What if someone picks up your iPhone or iPod touch and starts snooping around? You could previously set a passcode that consisted of 4 numbers. That’s fine for basic protection, but it could be easily guessed with a little bit of time. 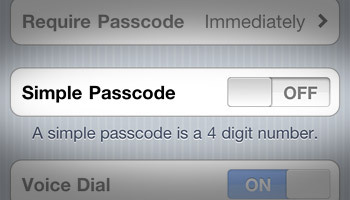 Apple recognized this in iOS 4 and has allowed alphanumeric passcodes which include text, numbers, and punctuation to be set. The trick is to go to Settings > General > Passcode Lock and then set “Simple Passcode” to off. Now you can create a new longer, harder-to-guess passcode of your choice. One of the reasons iPhone and iPod touch users clamored for copy & paste in the past was to copy package tracking numbers into Safari. We got that capability last year, and now Apple has gone one step further. 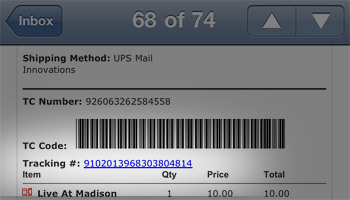 The Mail app in iOS 4 automatically detects plain text tracking numbers for FedEx, UPS, USPS, etc. in emails and turns them into links that go right to the package carrier’s tracking system in Safari. It’s a big time saver! Thanks for these tips. Very useful!